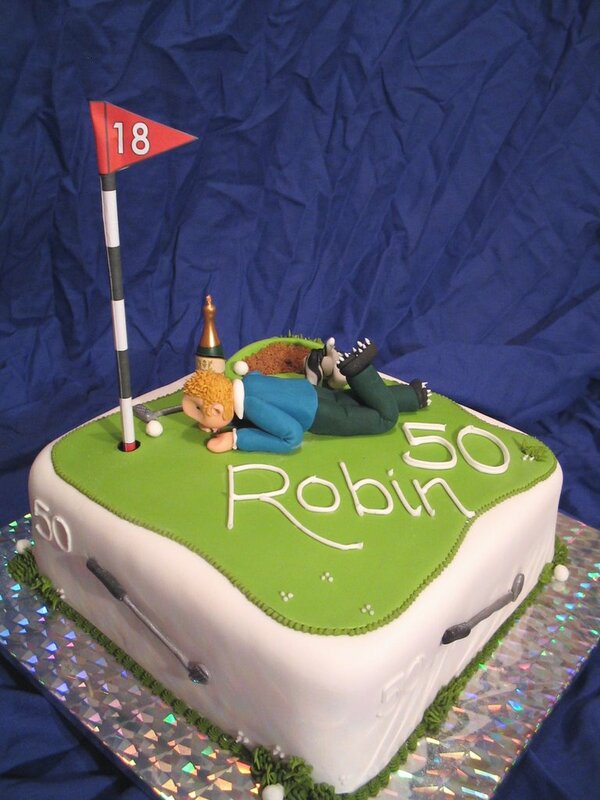 Robin's 50th - yet ANOTHER Golf cake!!!! Why is it as soon as someone sees one of my cakes its 'oh you have GOT to make me one of those for my Dad / Brother / Uncle / Grandad!'. 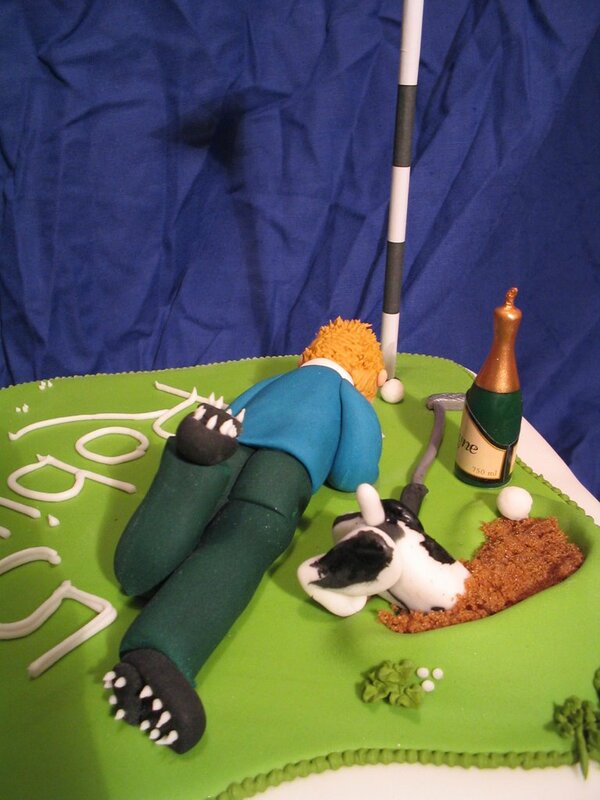 Well, heres another golf cake. 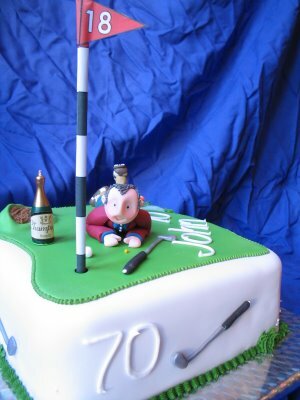 John's 70th - another Golf cake! Long time since I blogged! 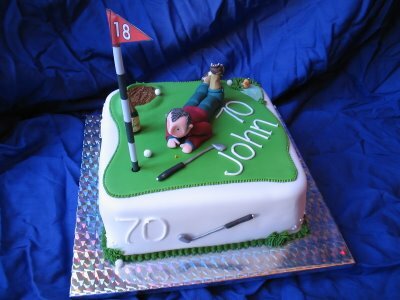 I made this cake for John's 70th - a surprize party The champagne bottle is a candle - the sand in the bunker is brown sugar!. The flag is a bit of a cheat! 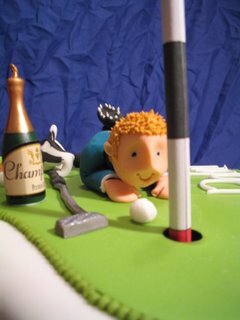 - its a drinking straw covered in printed paper - everything else is edible! 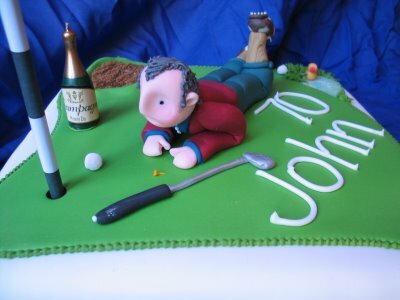 - check out the tiny golf tee in front of John!